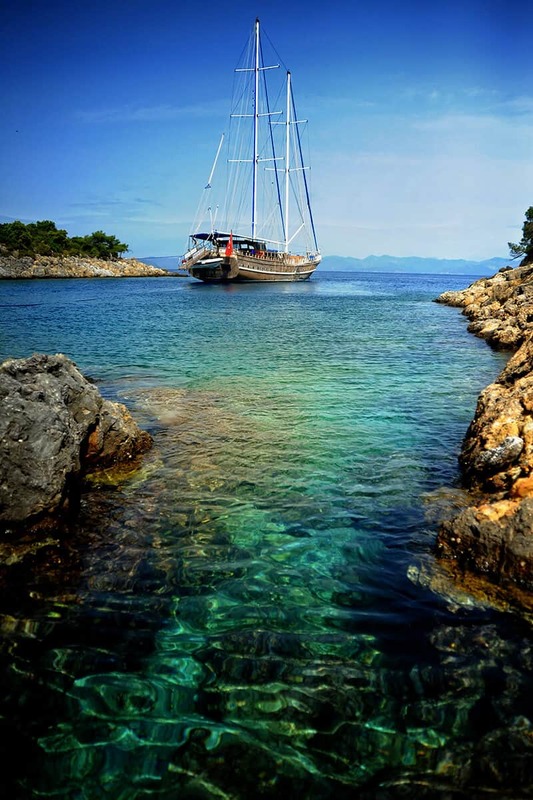 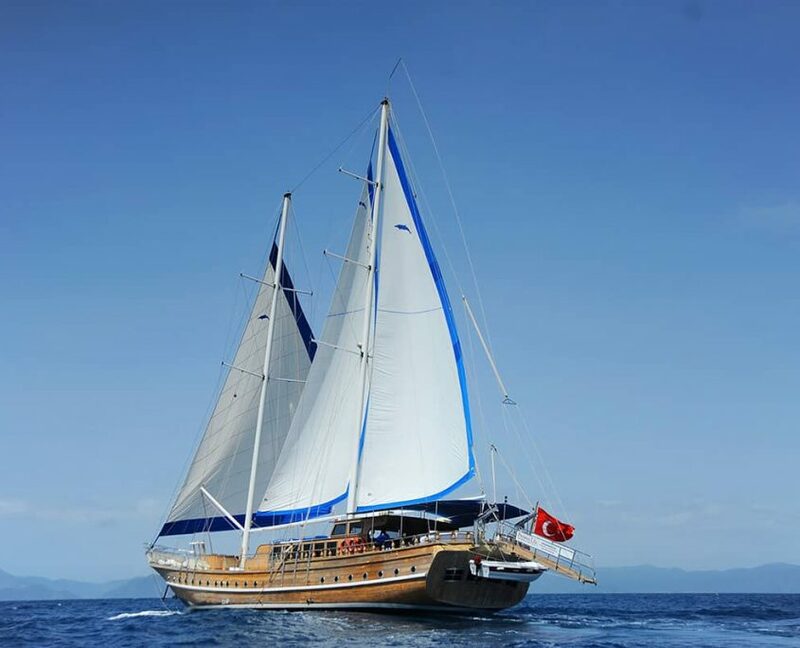 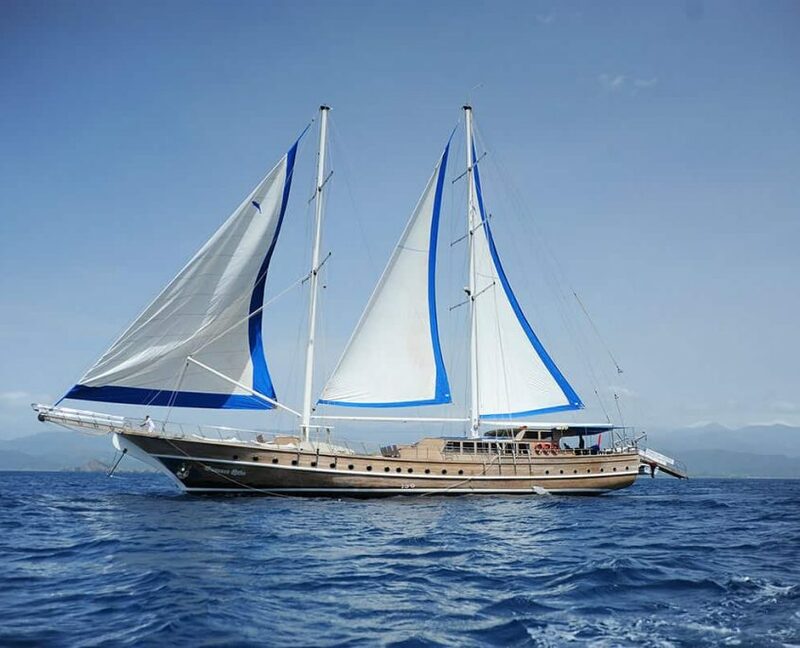 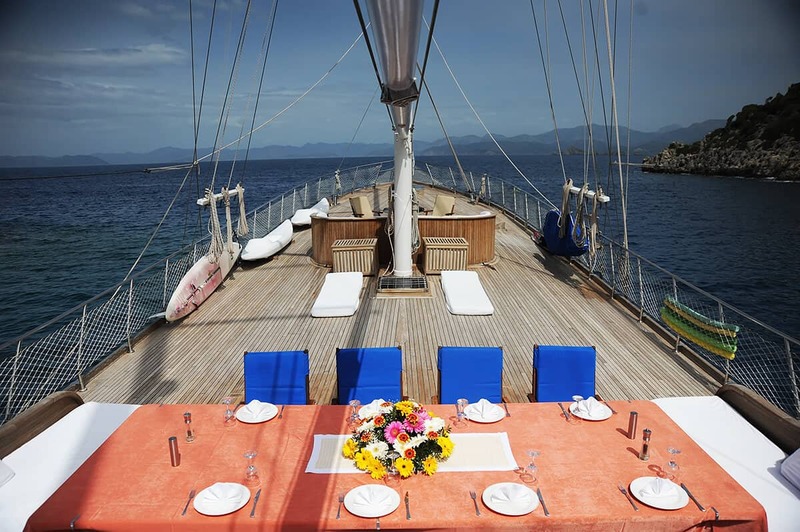 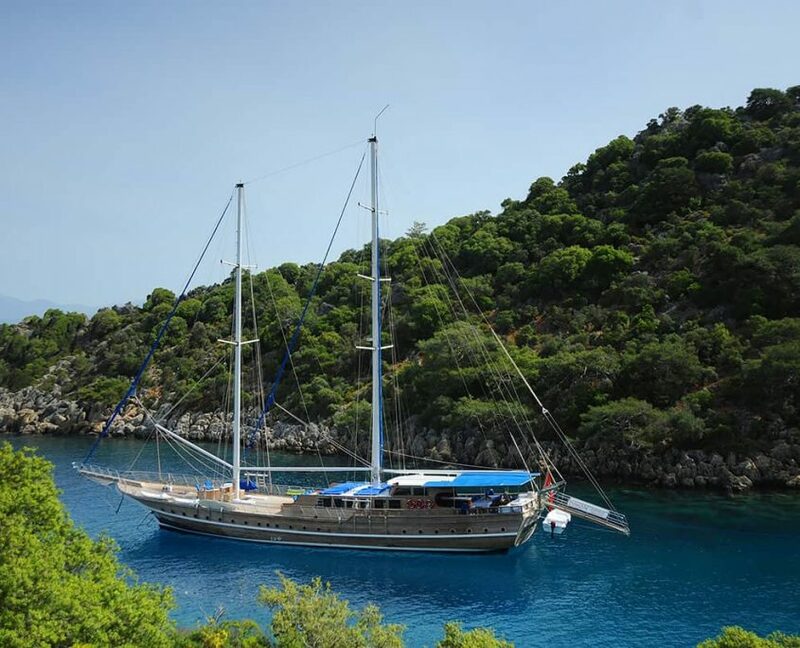 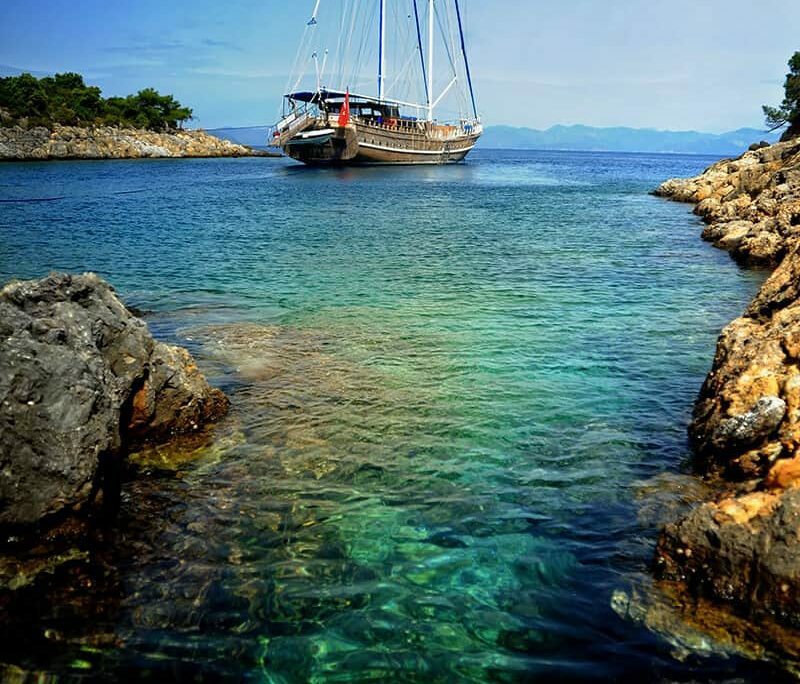 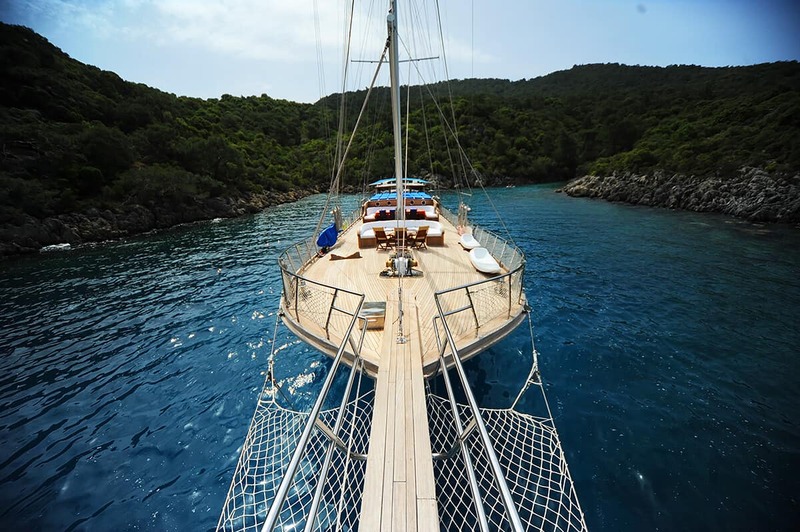 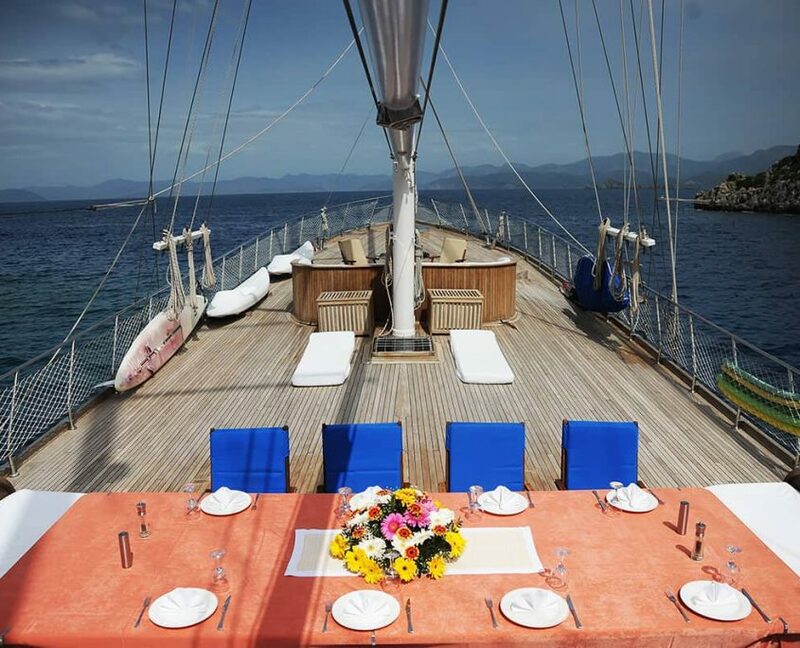 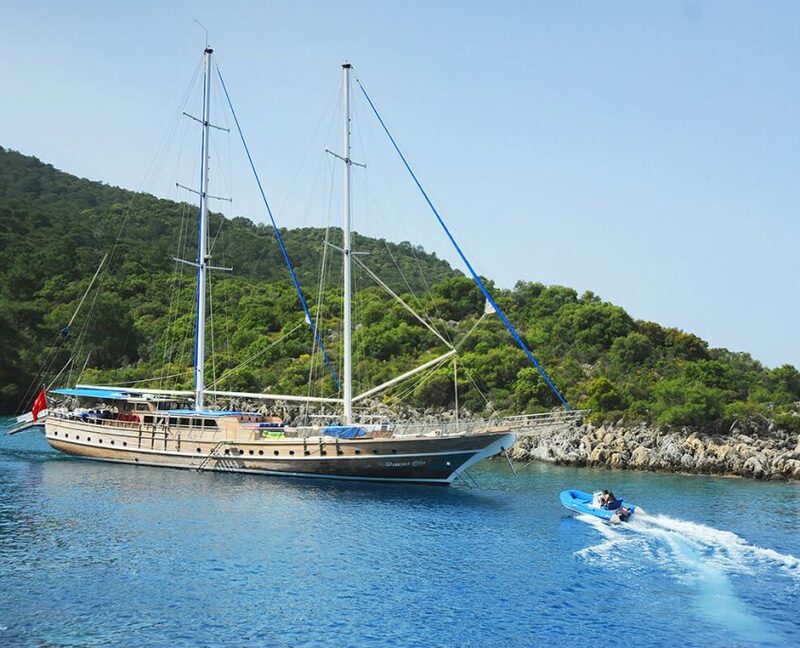 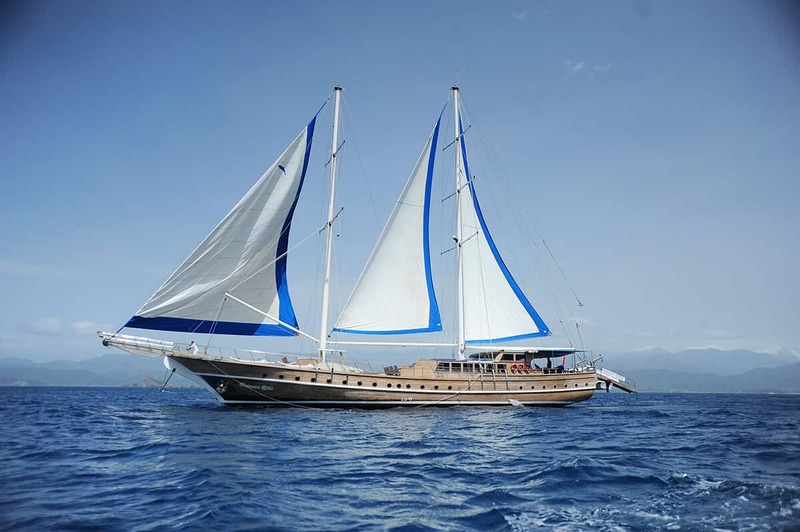 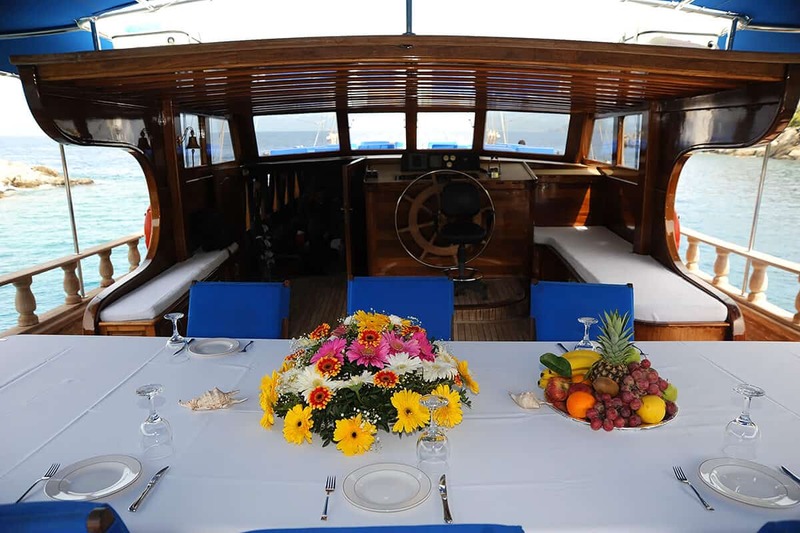 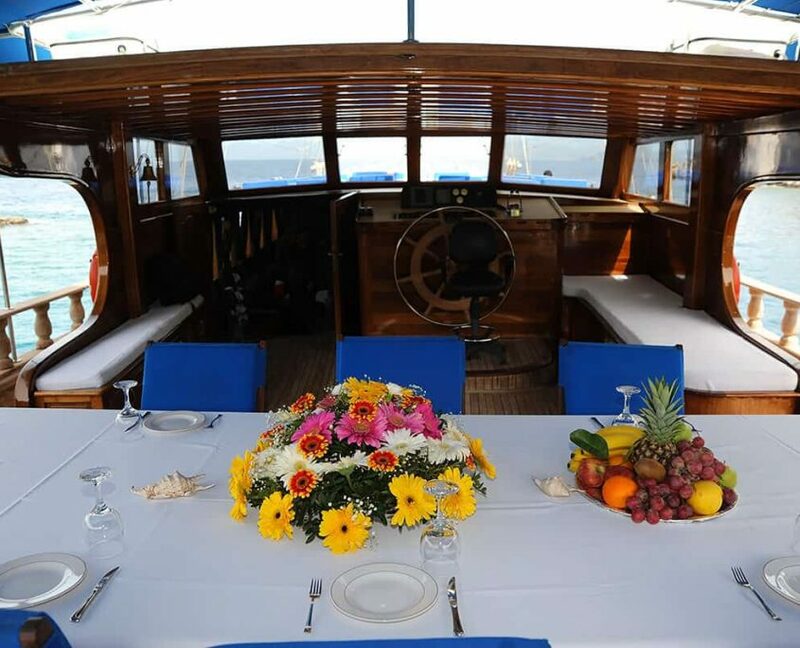 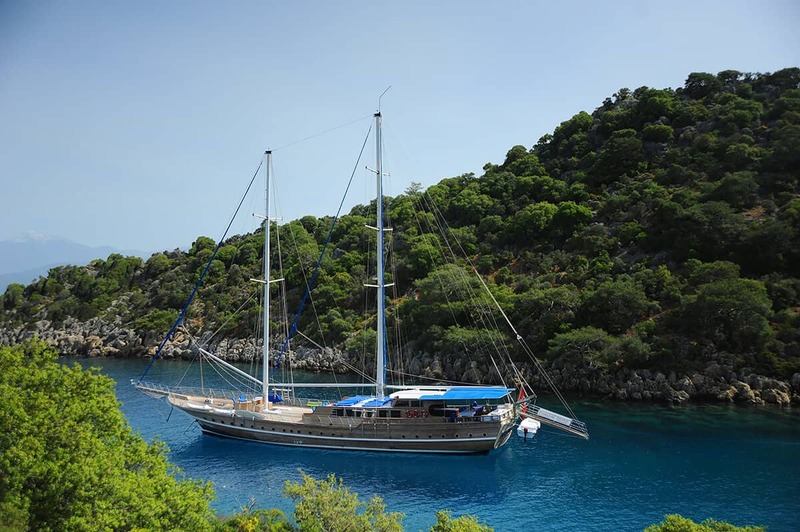 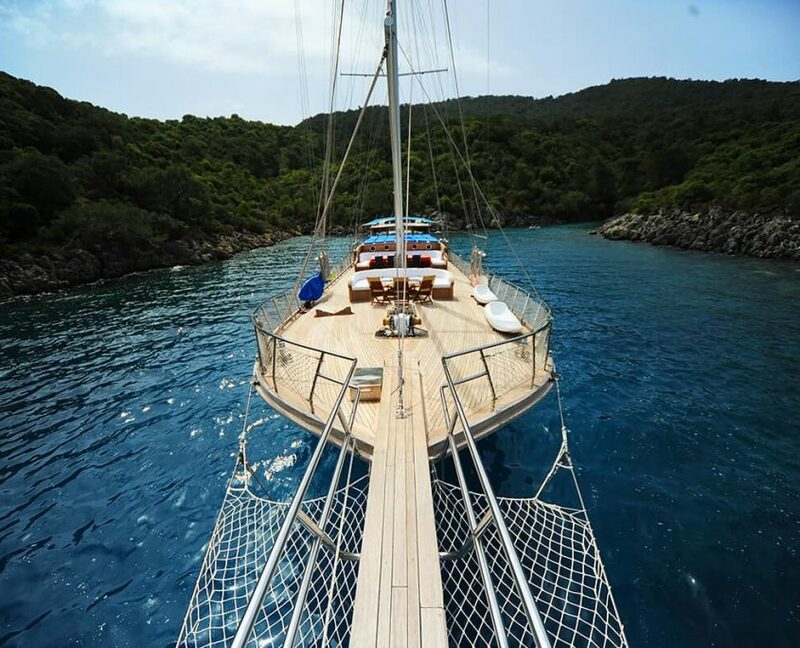 Gulet is designed for a blue cruise with a length of 36 meters. 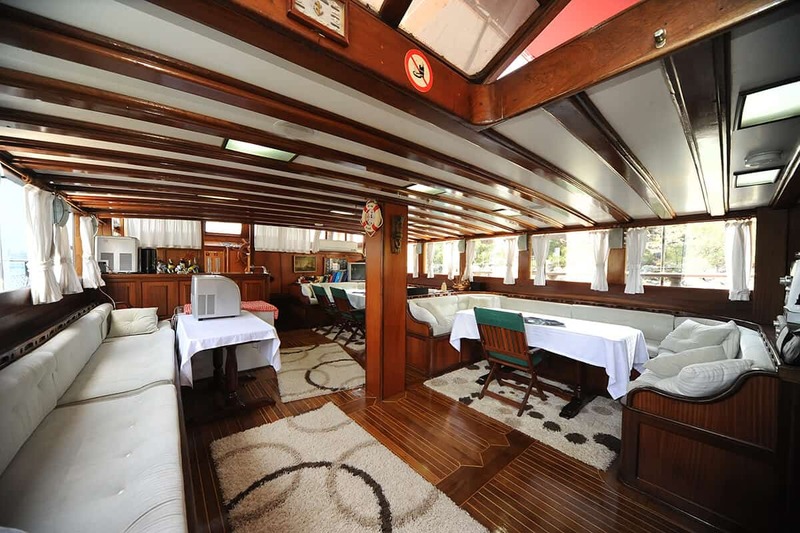 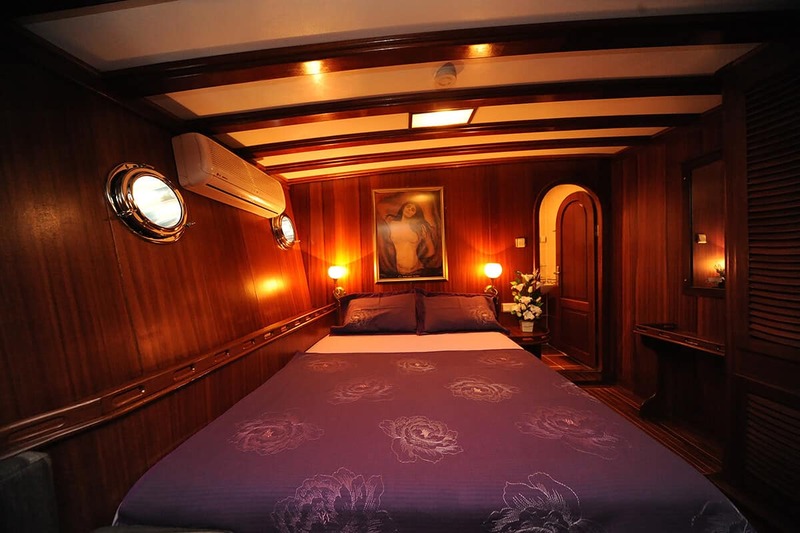 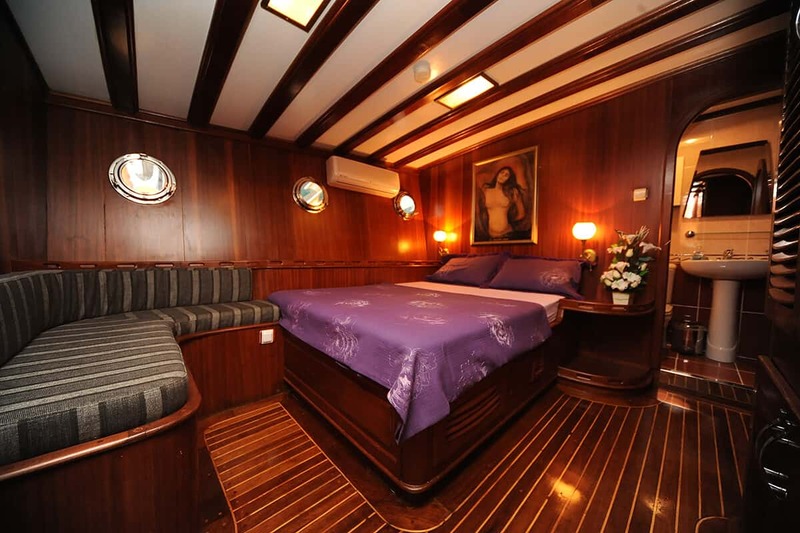 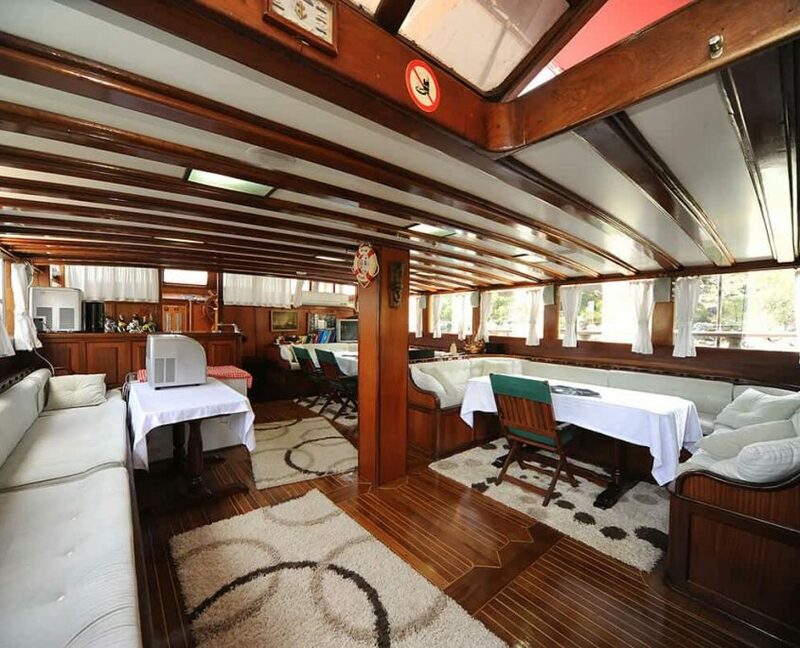 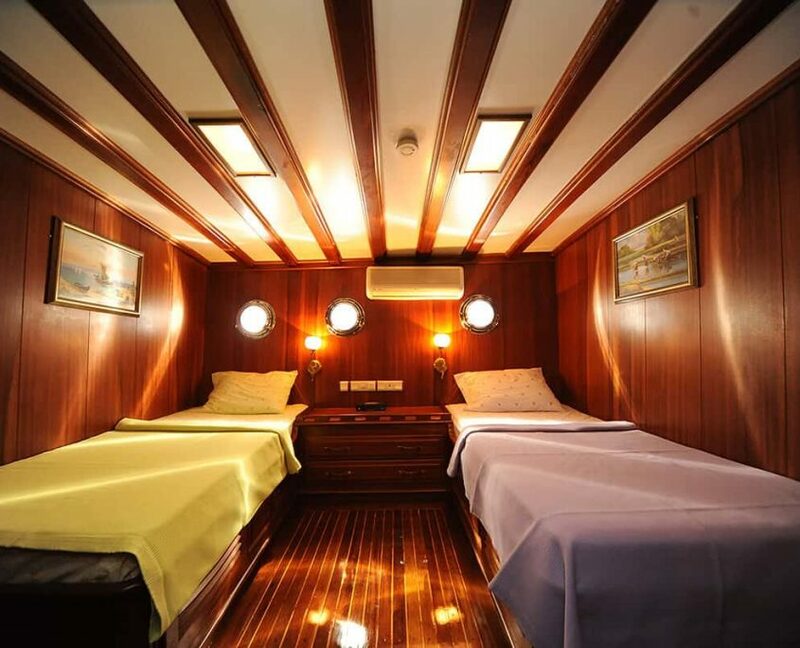 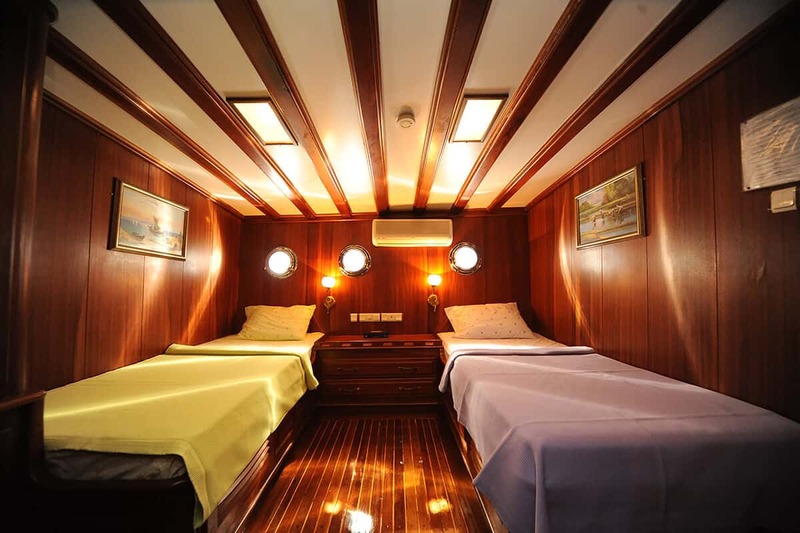 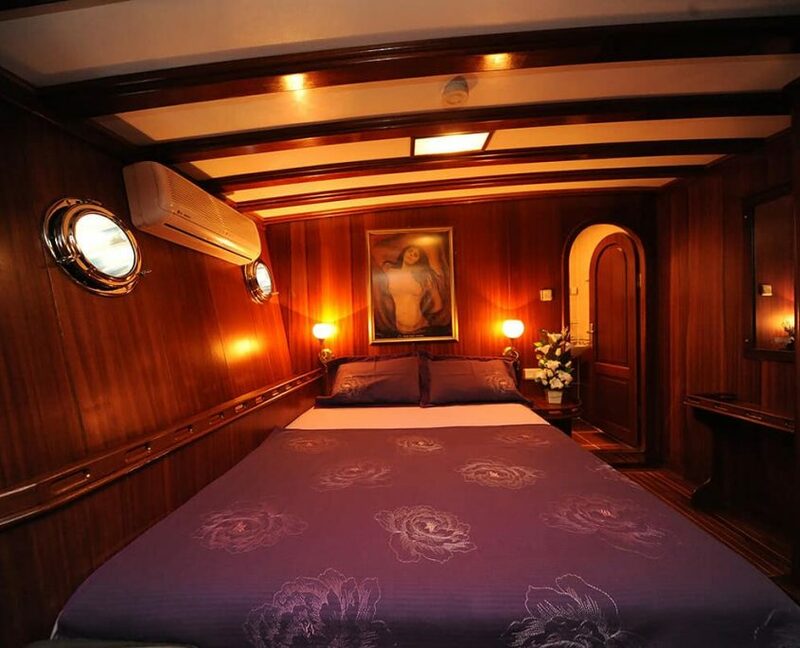 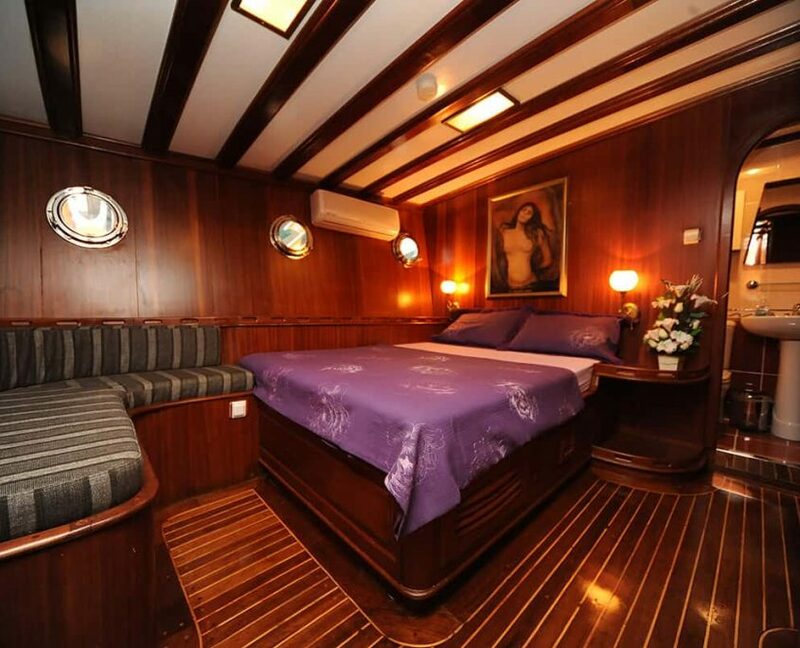 She has spacious living areas and a capacity for decent groups up to 18 persons with 8 spacious cabins. 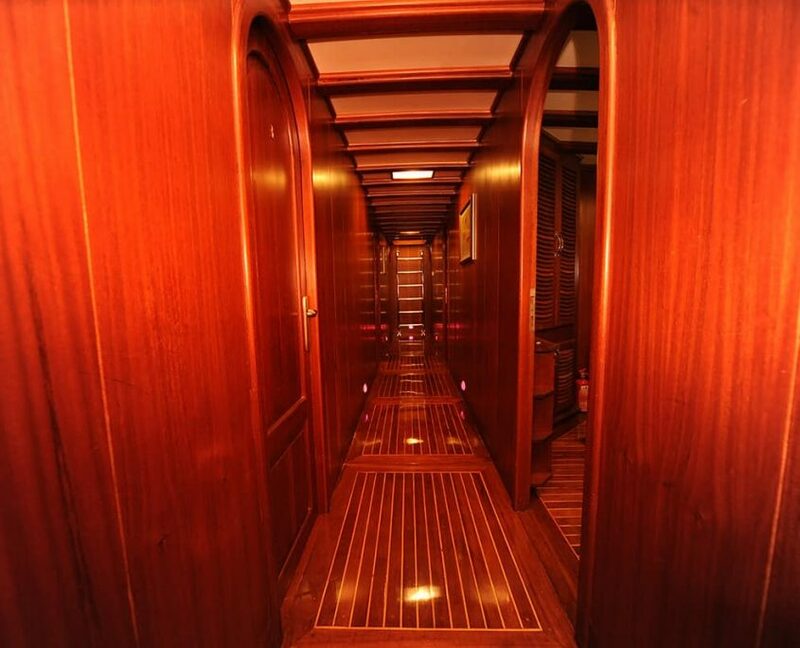 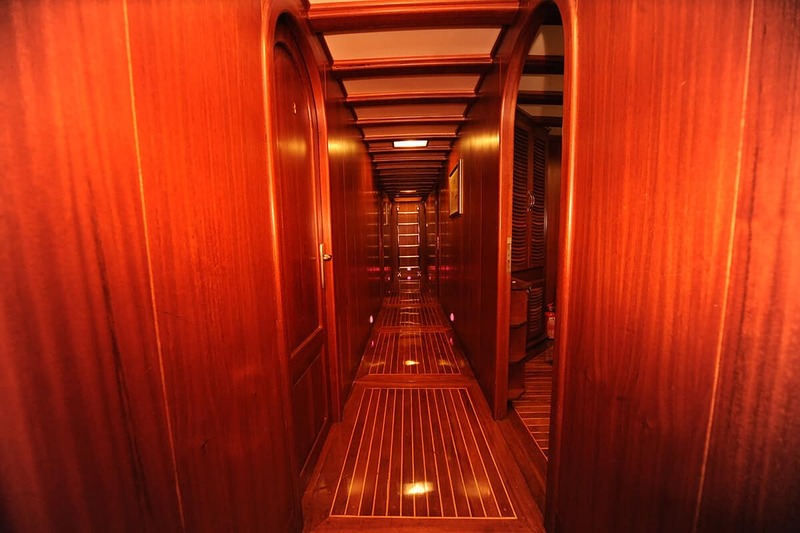 Under deck there are 6 double and 2 triple cabins. 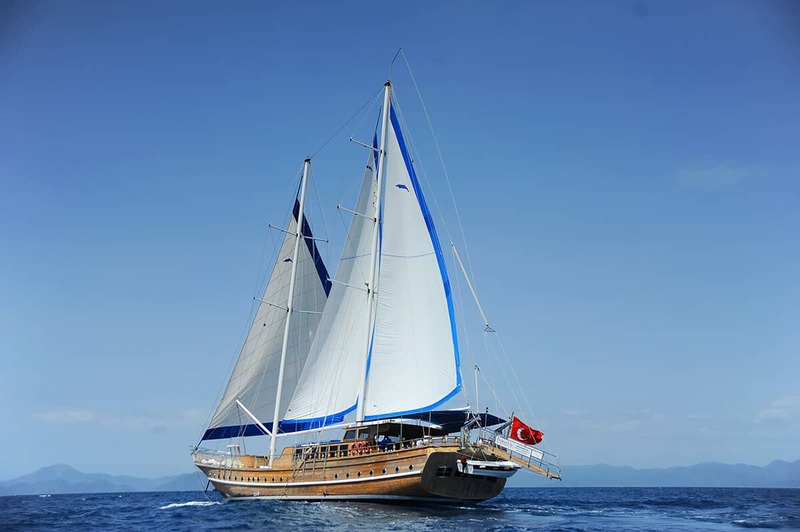 Depending on the weather conditions you are able to sail with her. 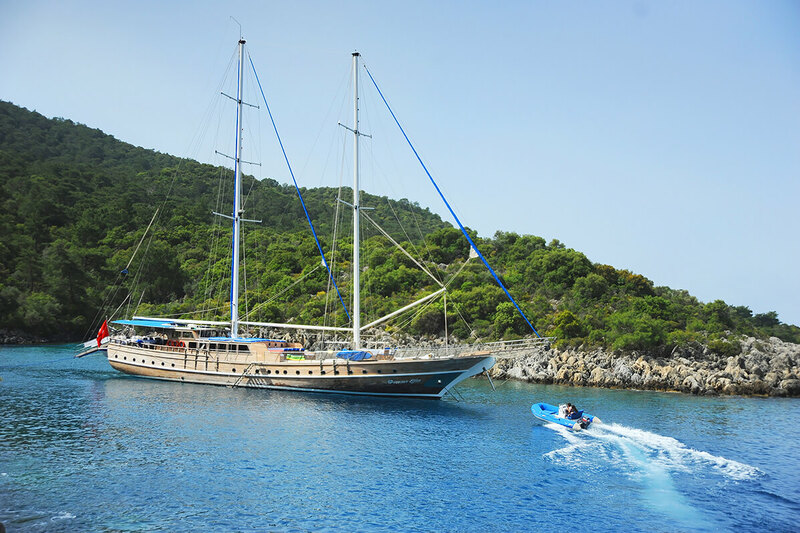 She is providing you a crew of 5.